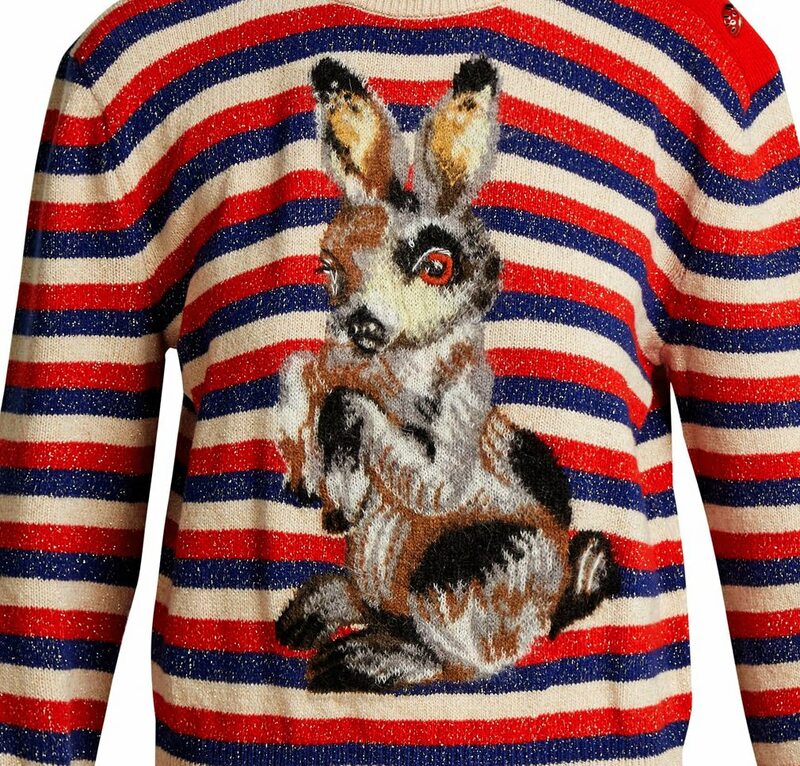 Gucci’s blue and red striped sweater features a hand-embroidered rabbit designed by French artist Nathalie Lété. 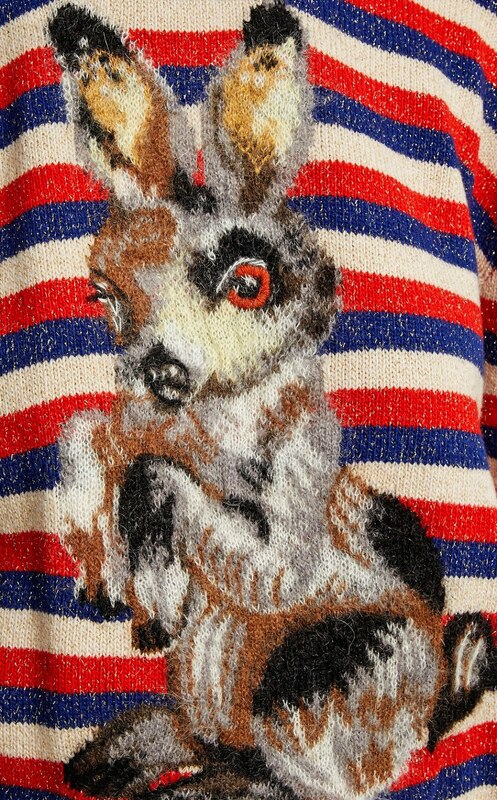 It's crafted in Italy from a soft wool and mohair-blend with tiny gold metallic specs and enamel ladybug buttons adorn the shoulder – part of the house's menagerie of motifs. Style it with a midi skirt and backless loafers to express the eclectic mood of the season.